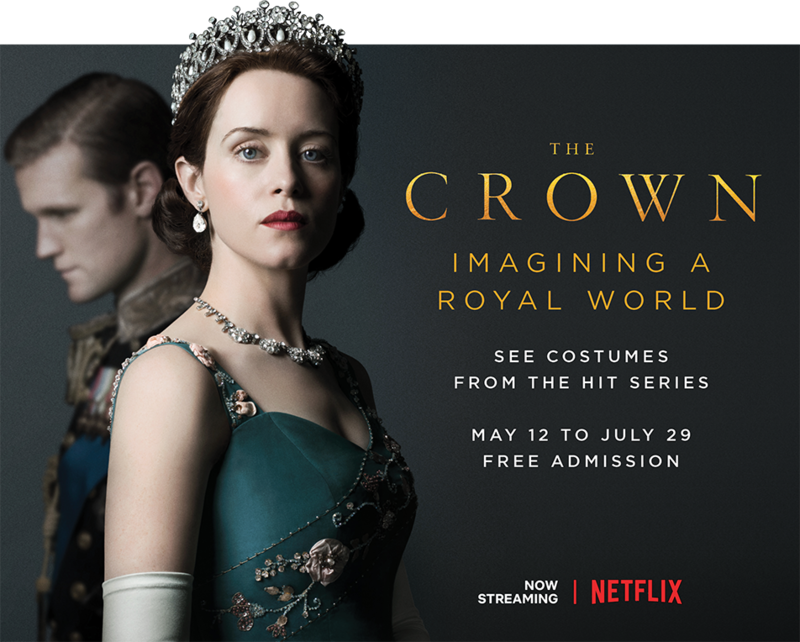 The Paley Center for Media’s new multimedia exhibition, The Crown: Imagining a Royal World, offers an extraordinary glimpse into the creative process behind some of the series’s most stunning and iconic costume creations. Following the birth of the newest royal baby—Prince Louis Arthur Charles—and anticipating the royal wedding of Prince Harry and Meghan Markle, the Paley Center brings you the most royal of exhibits. With an acute eye for sumptuous detail, renowned designer Jane Petrie’s opulent costumes for season two of the award-winning Netflix period drama explore a transitional time in the monarch’s history—London in the swinging ‘60s with all the seismic cultural shifts and social upheaval of the period. The exhibition will highlight the juxtaposition of a Monarchy somewhat trapped in time against the more modern vision of the United States represented by John F. Kennedy and Jacqueline Kennedy upon their visit to Buckingham Palace in 1961. On-set photography and video clips from the acclaimed series will provide a stunning backdrop for the lavish period costumes on display. Read more about the exhibit in the Los Angeles Times.